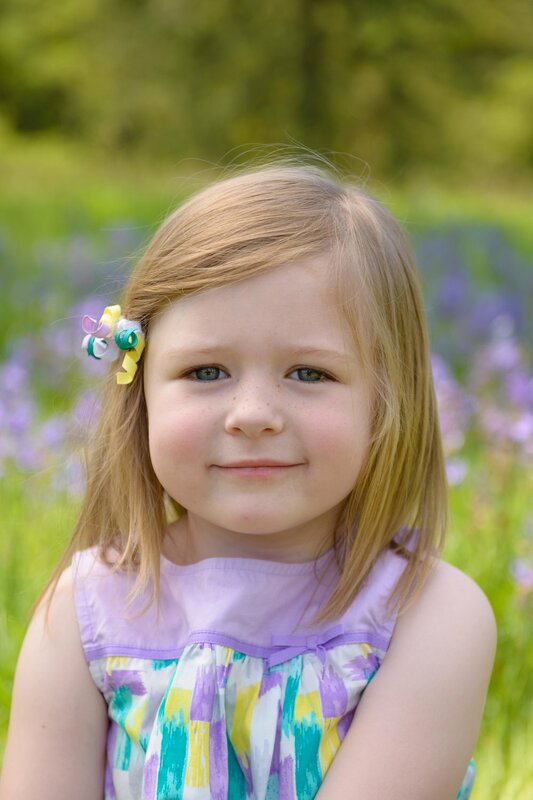 Canemah Bluff Nature Park, located in Oregon City, Oregon, is the perfect place for family photos in the spring, when it has beautiful fields of purple flowers. This park is a hidden gem that constantly changes through the seasons. We love using this park year round, as it’s never too busy and is always looking different. These photos are from a family session for Amber’s sister, Melissa. Our niece Kylie, who is 5, loves the camera (she was not always this way, it took years of photos LOL) while Addison, who is 1, was having a toddler day. Sometimes when kids come to photography sessions they don’t want to cooperate, and that’s ok. Part of the joy of family photography is knowing that the kiddos have control over the day. Sometimes the best family photos are the unplanned ones. This was a cute mini session that lasted about 30 min. as Addison was having a full melt down. Just remember, it’s ok if your toddler is having an off day. It’s normal. Some of the best family photos we have taken were kids being kids, which includes screaming, crying and laughing. Its not all about trying to be the perfect family, as we all know that is not a thing!